The Economist Names Armenia "Country of the Year"
By an unfortunate coincidence, the Turkish email was sent on June 5, 2018, barely three days before Bourdain committed suicide! Given the large number of Armenians and non-Armenians who have written in recent days expressing their unfounded suspicion that Azerbaijan or Turkey caused Bourdain’s death, I want to make it clear that I do not believe in such conspiracies. 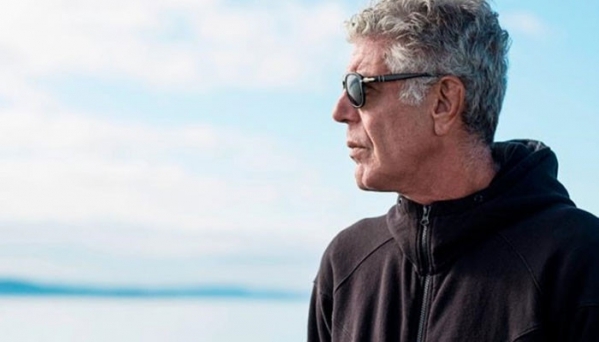 Sadly, Bourdain, who had used drugs for many years, was a heavy drinker and suffered from serious depression, committed suicide in his hotel room during a visit to France last week. In addition, those who propagate such conspiracies are damaging Armenian interests. Anthony Bourdain, who had the popular TV travel and food show “Parts Unknown” on CNN, was blacklisted by Azerbaijan for having gone to Artsakh after visiting Armenia late last year. 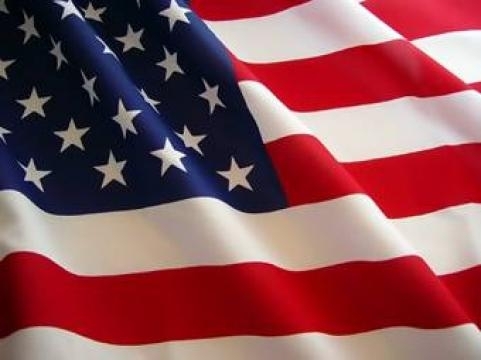 The show aired on CNN last month to the great delight of Armenians worldwide and dismay of Azeris and Turks. 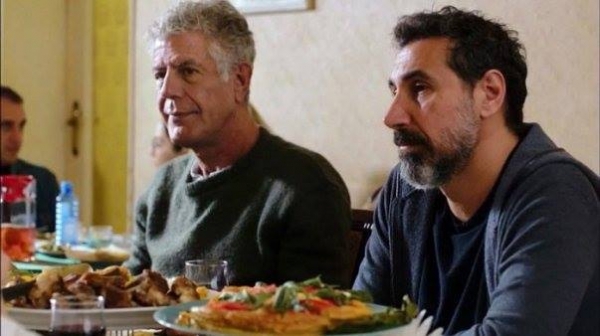 By alleging that Azerbaijan killed Bourdain, Armenians are simply discouraging non-Armenians from visiting Artsakh! Kurtulus also attacked Chris Cuomo of CNN for interviewing on his show Cong. Adam Schiff (Dem.- CA). 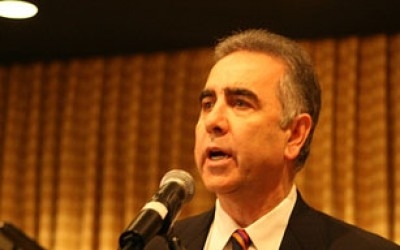 Kurtulus described Schiff as “a racist” for championing the recognition of the Armenian Genocide and compared him with David Duke of the KKK. Kurtulus then picked on Congresswoman Nanci Pelosi (Dem.-CA) for acknowledging the Armenian Genocide in her 2016 statement. Kurtulus ridiculously claimed that Armenians may have died of “old age” rather than being murdered during the Genocide! Kurtulus also blasted Amy Goodman, host of the award-winning ‘Democracy Now!’, a TV/Radio news program that airs on 900 public broadcast stations in North America, for acknowledging the Armenian Genocide in her show. Kurtulus not only denied the occurrence of the Armenian Genocide by calling it a ‘hoax,” but turned around and blamed Armenians for committing an “extermination campaign against Turks”! He also falsely claimed that “a systematic extermination campaign against Armenians would have been not only unlikely, but out of the question”! 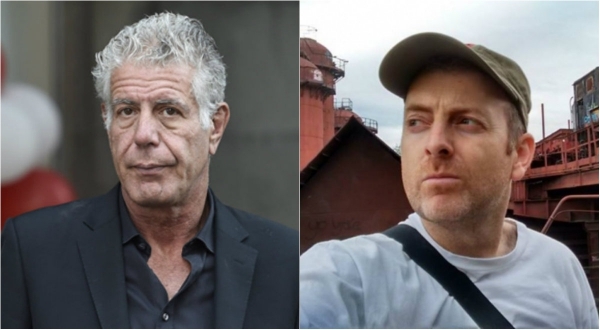 After comparing Bourdain to white ‘supremacists’ in Charlottville, Virginia, Kurtulus asked: “what is the difference?” Regrettably, Kurtulus defamed anyone who has supported the veracity of the Armenian Genocide. It is no one else’s fault that the Ottoman Turkish government organized the extermination of the Armenian people. If, as a result, the Turkish nation has had a horrible reputation, it is wrong to blame it on the Armenian victims. Kurtulus’s argument is the equivalent of condemning anyone who speaks about the Jewish Holocaust because that may tarnish the reputation of Germans! Kurtulus then disparaged all of the scholars who have written on the Armenian Genocide, in addition to Amb. Henry Morgenthau who had written an eyewitness account in his book, “The Murder of a Nation.” Instead, Kurtulus praised so-called ‘scholars’ who are genocide denialists funded by the Turkish government.